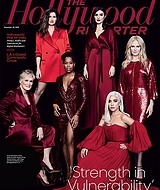 We’ve been gifted with another cover of Rachel Weisz on the Hollywood Reporter and it’s accompanied with a stunning photoshoot. This cover is the November 28 Issue (see the November 14 Issue here). 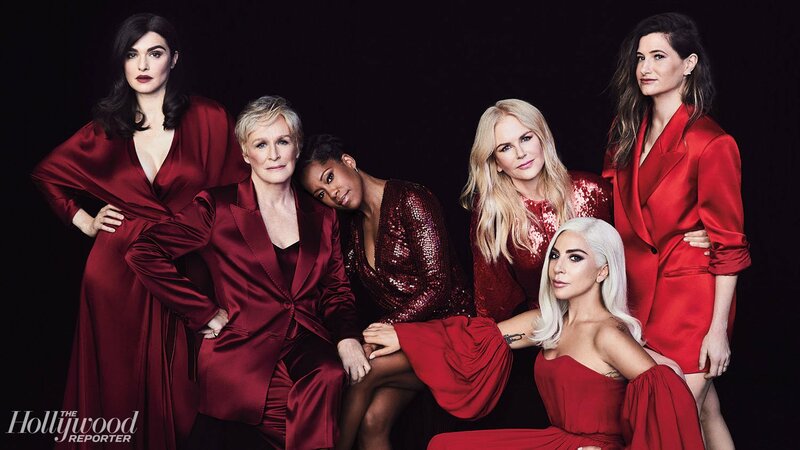 This cover feature also includes the famous annual Round Table which gave us a great group interview and some video footage of Rachel discussing topics with Nicole Kidman, Glen Close, Regina King, Kathryn Hahn and Lady Gaga. I think about those young actresses who feel empowered and hopefully … I have a real problem with the idea of “strong women characters.” Well, does that mean we have muscles or something? No one ever says that to a man. But [I want] young girls growing up [to] see stories being told where a woman takes a central role. Where she is not peripheral to the story. She’s driving the story, and so, you as a kid can go, “Oh, that’s me. I can identify.” So, it’s like a funny thing that [these stories] are coming together as women have been speaking up about harassment. I don’t know if it is a coincidence that suddenly you (to Kidman) could get [financing] for your film, you (to Close) could get your film made. The Favourite apparently took 20 years to make. Because there is lesbianism and three females at the center of it. Welcome to Rachel Weisz Archives, where we strive to bring you the most comprehensive information and media on Rachel Weisz's impressive career. Rachel Weisz is an Oscar Winning Actress best known for her performances in The Constant Gardener, Disobedience, Denial, and The Mummy. Rachel's most recent film The Favourite can be seen in select cinemas from November 23, 2018. We will provide original detailed written content, a comprehensive press archives catalouging Rachel's entire career and an extensive gallery and video section of Rachel's career. We are proudly papparazzi free and do not post gossip about Rachel or her family. In early 18th century England, a frail and temperamental Queen Anne occupies the throne and her close friend Lady Sarah (Rachel Weisz) governs the country in her stead. When a new servant Abigailarrives, her charm endears her to Sarah. The Favourite is Directed by Yorgos Lanthimos. Disobedience follows a woman (Rachel Weisz) who returns to her Orthodox Jewish community that shunned her decades earlier for her attraction to a female childhood friend. Once back, their passions reignite as they explore the boundaries of faith and sexuality. Disobedience was Directed by Sebastián Lelio. This is an unofficial fansite. 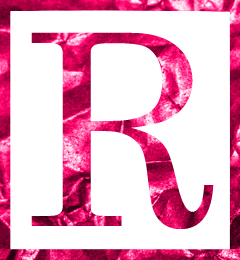 We have no official affiliation with Rachel Weisz or her management. Rachel Weisz does not have any Social Media. No copyright fringement is intended, please use the contact form for immediate removal before taking action. No financial gain is made from this website. We are always looking for site donations given that Rachel's career is so large and full credit is given. Please use this contact form for submissions. In particular we need original Magazine Scans.